Easy Buffalo Chicken Dip made with three cheeses and Ranch dressing makes a great appetizer for feeding a crowd or weeknight dinner sliders. 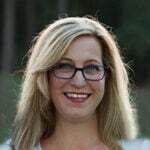 Cook the chicken in the crock pot and your work is done! There’s an easy how-to video at the bottom of this post. Don’t you love easy appetizers? I sure do, especially ones that are portable and can be made ahead. 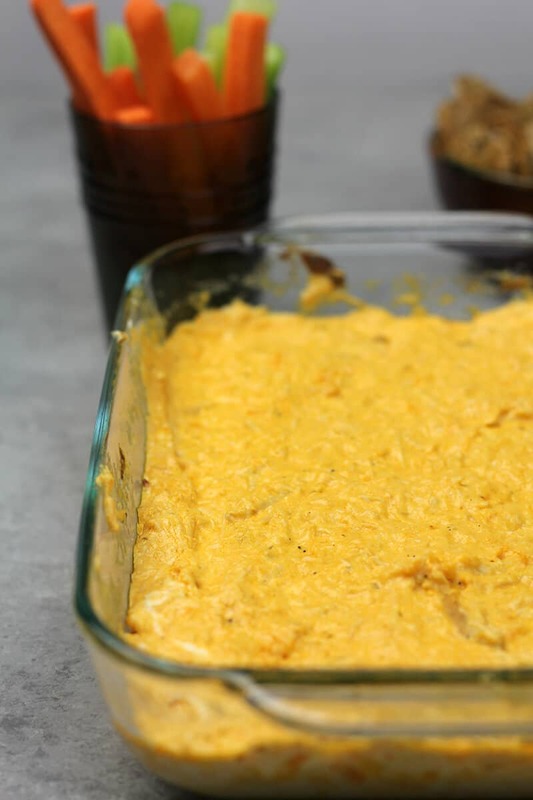 This Easy Buffalo Chicken Dip can even be frozen so you always have a yummy appetizer or weeknight sandwiches ready to go. You’re going to need 4 cups of shredded chicken for this recipe, which can be white or dark meat—you can use a whole rotisserie chicken, or bake some chicken thighs or breasts, or use my easy Crockpot Shredded Chicken method. If you use the crock pot, the chicken almost shreds itself. Then you add the good stuff: cream cheese, Monterey Jack cheese, mozzarella, sour cream, Ranch dressing, and hot sauce. For this recipe, I only use Frank’s RedHot® Original Cayenne Pepper Sauce—and no, this is not a sponsored post, that’s just the sauce that I use! Buffalo Chicken Dip is so versatile that you can serve it as a dip or make hand pies, which I also did. You can also serve this as a filling for sliders or burritos. Other than shredding the chicken, there’s basically no work involved in this dish. You just stir everything together and bake. Then enjoy! 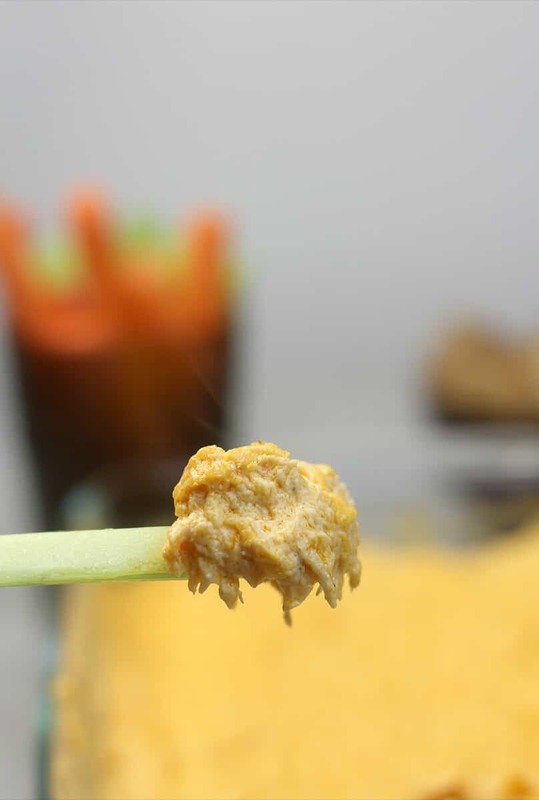 Easy Buffalo Chicken Dip is a quick and easy way to make a tasty appetizer or weeknight slider recipe. Save time by cooking the chicken in the slow cooker. Preheat oven to 350°. Combine all ingredients in a large bowl, stirring until well mixed. Spoon into a 9x13-inch baking dish and bake 20 minutes. Remove dish from oven and stir chicken to mix in the melting cream cheese. Bake an additional 10 minutes then remove from oven.